It can take a special kind of service to deliver early education and care when the majority of children at the service are vulnerable in one way or another. Barnados Long Day Care Centre faces this challenge. By Camille Howard. Earlier this year, the Productivity Commission released its draft report, which suggested scaling back the Child Care Benefit to restrict childcare subsidies for unemployed mothers. Understandably, the response from experts in the education and care sector was swift, with many slamming the proposal and the impact it would have on the most disadvantaged families. It was news that certainly worried Mary-Anne Bechara, Director of Barnados Long Day Care Centre, Auburn. 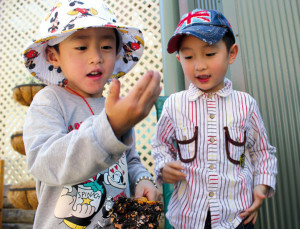 The 50-place service in Sydney’s west caters for two-to-five-year-olds, many of whom fall into that vulnerable category. The long day care service is one of several programs run from Barnados Auburn Children’s Family Centre, which includes a temporary foster care program for children before the courts, kin care, family support and preservation, domestic violence and sexual assault counselling, youth support, and an accommodation program for those who are homeless or at risk of being homeless. 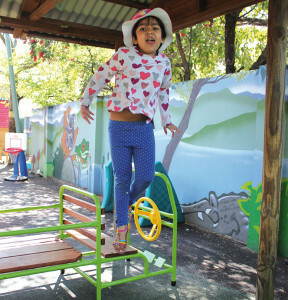 In this integrated service environment, with priority of access going to vulnerable families, it’s not uncommon for Barnados Long Day Care Centre to go above their numbers. ‘We often get approvals to go above numbers, to place children who are at-risk,’ Ms Bechara explains. As well as challenges associated with providing services for vulnerable families, Ms Bechara and her team face additional challenges that come from its transient demographic. For example, children in the temporary foster care program tend to be short-term enrolments, while their cases are before the courts, for between three to six months. These photos and observations, however small in number, then go into storybooks—My Life Story Book—that aim to capture a child’s history and identity, and ensure their voice is at the centre of all decision making, something that can be forgotten for children in out-of-home care. ‘It’s really important that they have photos done with their teachers or in the class, and that all gets passed on with them to their case managers,’ Ms Bechara says. Strong connections with the sponsor body, Auburn Family and Community Services, help Ms Bechara advocate for the importance of education and care and the program the service offers in keeping families together. ‘You can say that you offer respite care one weekend a month, and that will give parents a break, but if you offer childcare five days a week, it takes pressure off those families, especially those with four, five and six kids. Children’s services are vital, given all of our inclusive programs here, in keeping families together. It gives parents a break in the day, it gives them some time to attend parenting groups, go off and do the shopping, gives them a couple of hours at home so they are not this anxious/stressed parent the whole time. The service has strong relationships with this diverse community. ‘We see Auburn as our community, but our centre is a little community within itself, as well. And I feel that’s how the local community sees us as well,’ she says. Parents also have access to parenting groups, such as Circle of Security, which is an early intervention program for parents and children, plus health and nutrition support, delivered in home languages. And siblings of children in long day care or other programs have access to youth support, too. Her team of 15, on the other hand—11 permanent and four additional needs staff—have stood the test of time. ‘They are a really good team where nothing is ever too much. If I said to them, look, we really need to take on 18 high support special needs children, they’d say, “All right, we’ll do it”. 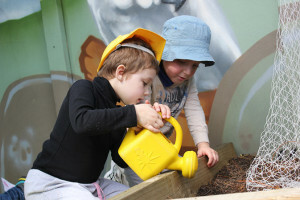 A big proponent of the Early Years Learning Framework, Ms Bechara says that in a service like hers, there are areas of programming that have to have greater focus than others. ‘It’s important that my kids get to come in here and learn self-help skills,’ she explains. 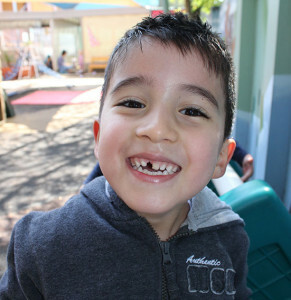 This focus on school readiness is something that starts the moment each child walks through the door. ‘We want to send kids from here who are ready to start school on par with every other child in that class. 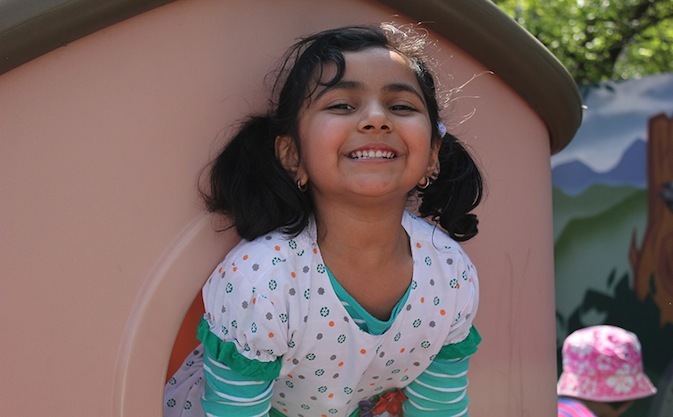 ‘Research shows that if they can walk in to start school on the front foot, that can carry them through their school years,’ Ms Bechara explains. The centre has strong relationships with local schools, too, making sure the schools come to the service to hold talks with parents and ensuring the children have a chance to visit their school. ‘And the early childhood teacher who is the support person for children with additional needs attends those schools with the kids when they are attending orientation visits,’ Ms Becahra says. Like all community based services, Barnados LDC relies on fees, Child Care Benefit and Special CCB funding, plus inclusion support subsidy, but still has an income gap. Corporate and other donations are vital. 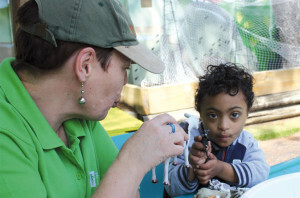 Thanks to corporate support, the preschoolers were just treated to a trip to Sydney Aquarium. ‘My kids wouldn’t get to go and do things like that, so it’s really important that corporate responsibility gets us through,’ Ms Bechara says. long way to retaining staff who face added pressures. With five children with autism in the service most days, it’s not uncommon for staff to be called back on the floor to help deal with behavioural issues, for example. ‘Sometimes there is pressure on staff, and programming time gets chewed up quickly,’ Ms Bechara explains.